Nag Panchami is a traditional method of worshipping serpents or snakes. This is a prominent hindu tradition. According to the Hindu traditional calendar, this worship is observed and offered on the 5th (fifth) day of the bright half of the Lunar month of Shravan generally during July/August. It is a Hindu tradition and thus is celebrated through the subcontinents of India and Nepal and in other parts of the world among Hindus. In India, snakes are given a lot of holy importance. There are various temples that have been built in their honor. Patal Lok (meaning the region deep under the earth surface) is specifically meant as a residing place for serpents. They are also believed to possess powers far greater than humans. On Naag Panchami people worship snakes in many forms including their pictures. Many ritual are performed to gain the blessings and good will of the snakes. Villagers carry snakes in pots over their heads to the temple and dance to music. Snakes are offered milk, rice and are prayed upon to give protection to the family. After rituals, the temple priest sprinkles flowers and haldi-kumkum i.e. turmeric and red powder on their heads. Plenty of honey and milk in return to seek immunity from the bites of a snake. A priest is given Dakshina(offering) in silver or gold or other forms to perform various rituals. When it is Celebrated (Nag Panchami Tithi)? It falls in the Shravan or Sawan month (July – August) and is observed during the fifth day (Panchami Tithi) of the bright half of lunar month (Shukla Paksha). Nag Panchami is observed after two days of Hariyali Teej. In Southern India, there is a different version of this Vrat called as Nag Chaturthi. Naag Chaturthi appears on the fourth day of Shukla Paksha falling one day before the Panchami. In Gujarat, Nag Panchami is observed three days before Krishna Janmashtami festivity. It is more popularly known as Nag Pancham. Naga Panchami or Nag Panchami is an Hindu festival. It is dedicated to the God Snake. The festival gets its name from the fact that it is celebrated on the fifth day called Panchami of the moonlit fortnight of the Sawan Hindu month. In Hindu culture, the snake has its own importance. According to the Hindu Mythology, Lord Krishna has saved people from the attack of the snake Kaliya. Once upon a time, when Krishna was playing on the riverside, fell into the river. And then Kaliya, the snake suddenly attacked him. He fought with the snake for a while. Then the snake Kaliya, realised that he was not a normal child and started pleaded to him for the sake of life. Krishna then spared him in return that he will not harm any human further. So, Nag Panchami is celebrated to mark the victory of Lord Krishna on the most dangerous snake, Kaliya. During this festival, people offer snakes with milk. 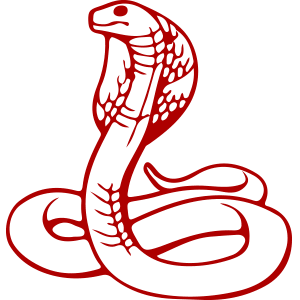 It signifies that their families may attain freedom from the danger of snakes. According to various myths, digging ground or ploughing a field is forbidden on this day as it may destroy the home of snakes. Snakes have had a lot of holy references. They are revered in Hindu mythology and scriptures. It is said that praying to snakes on this day protects any individual from various fears in life and brings about good wealth, health, prosperity and peace in life. It is considered as an extremely auspicious day by the spiritual seekers. Meditating on the mooladhara chakra helps one achieve happiness and peace in life. What is Kaal Sarp Dosh? It is formed when all the planets fall on one side of Rahu (head)- Ketu (tail) nexus. It is considered that they nullify the impacts of other planets by their energies. Since Lord Shiva is known for taking away all the miseries or poison from life, by offering it to snakes. A person is seeking protection from serpents to compensate their problems. Therefore people who are suffering from this dosha, does special prayers to the Shiva lingam and to the Snake God. Kalsarp Dosh can create havoc in ones life. However, one can pacify the Kalsarp dosh Nag Panchami puja as it is the most auspicious day to please the snake God.